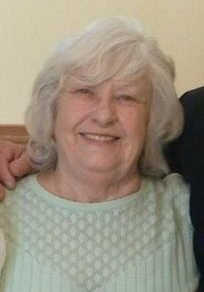 Mrs. Cora Sue Berryhill, 76, of Southaven, MS passed away Sunday, July 1, 2018 at her residence in Southaven.Mrs. Berryhill was a homemaker, whom loved nothing more than being able to tend to her home and her family. She was hardworking and took pride in everything she did. Mrs. Berryhill enjoyed cooking good old southern meals for her family. She loved the outdoors and could often be found taking long walks admiring nature or tending to the roses in her flower garden. She enjoyed playing board games and card games, as well as riding with her husband, Joe in his eighteen–wheeler while he was an over the road truckdriver. Above all else, Mrs. Berryhill simply enjoyed being able to live her life and she will be greatly missed by all who knew her. Mrs. Berryhill leaves behind her loving husband of forty-two years, Joe Berryhill of Southaven, MS; one son, Lynn Glissen of Southaven; one daughter, Debbie Dunn Randall (Brad) of Hernando, MS; one brother, William Goodwin (Virginia) of Michie, TN; four grandsons, Ryan Dunn of Southaven, Brandon Glissen of Southaven, Derek Glissen (Hailey) of Tupelo, MS, and John Randall (Charity) of San Antonio, TX; five great-grandchildren, Erika Amy Glissen, DeMarcus Guana, Kellie Randall, Elysia Randall, and Caydance Davis. Mrs. Berryhill also leaves behind a host of loving nieces, nephews, and other family members. She was preceded in death by her parents, John and Mattie Lou Goodwin; five brothers; two sisters; and grandson, Chris Dunn. Visitation will be held Thursday, July 5, 2018, from 2:00 P.M. – 3:00 P.M. at Twin Oaks Funeral Home (290 Goodman Rd. E, Southaven, MS 38671), with the funeral service following at 3:00 P.M. in the chapel. Interment will be at Twin Oaks Memorial Gardens (290 Goodman Rd. E, Southaven, MS 38671). Pastor Chris Shelton will officiate. Next Frank L. Pittman, Jr.